Van Horton Books, 9780983550594, 218pp. A sixty-ton humpback whale lies stranded, gasping for breath, on the sands of Cape Cod... and there's just one girl in the world who knows who he is. When Jessaloup is transformed into a boy, Isabel has to teach him to walk, talk, and act human, so that together they can raise the alarm about a terrible natural disaster that's threatening the East Coast. With the calamity's deadline drawing near, the two teens must overcome skepticism, jealousies, misunderstandings, and even some atrociously bad music, if they are to Save the Humans. 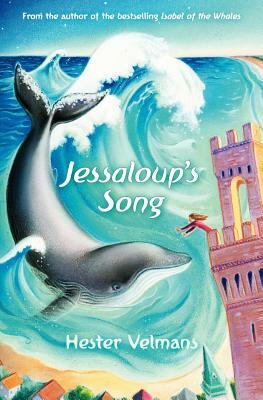 A follow-up to the "magical" Isabel of the Whales, Jessaloup's Song clears up the mystery of Isabel's origins, while exploring teenage love and celebrating the family ties that bind all species.